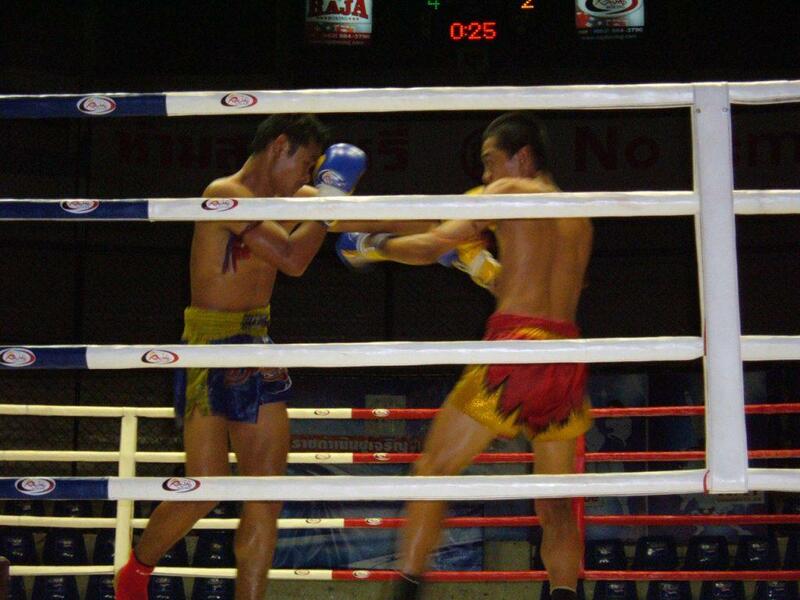 Muay Thai or Thai Boxing is a martial art and an important element of Thai culture. 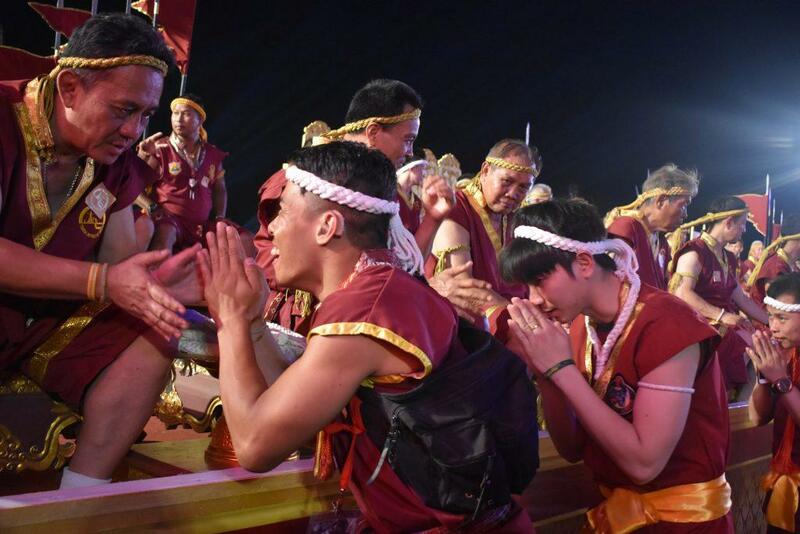 It’s the national sport of Thailand and has become popular around the world. 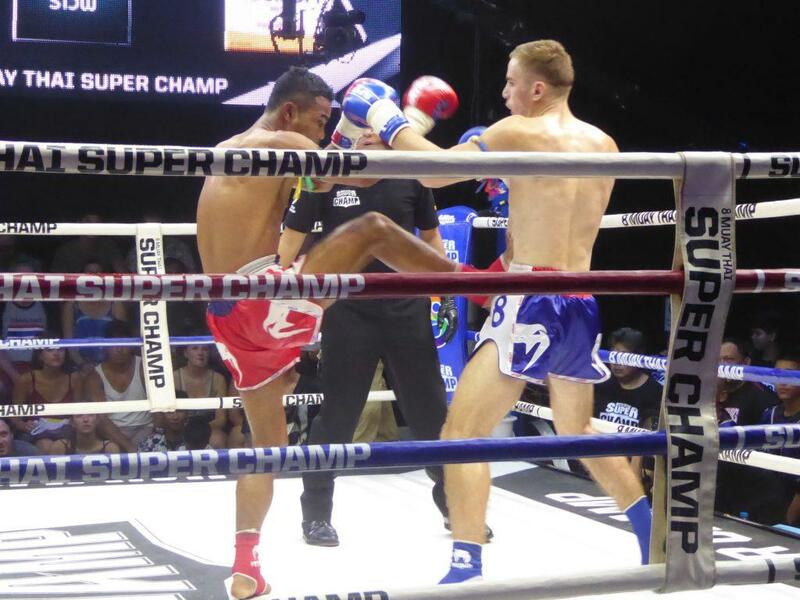 Many nationalities come to Thailand to learn the art of Muay Thai fighting, studying and training at one of the countries many Muay Thai gyms or training camps. The origins of Muay Thai can be traced back to ancient warfare. In the days before guns, fighting was close up hand to hand combat using swords, spears, and shields. 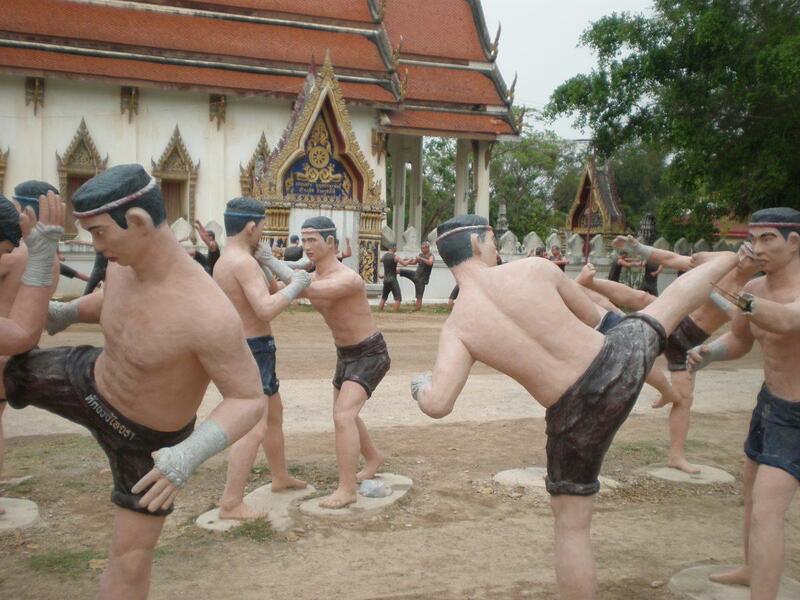 Thai warriors developed a combat style that used kicking as a weapon to knock their enemies back so that they had more chance to strike a blow. In modern times Muay Thai has developed into a popular sport and as a way of keeping fit. There are now Muay Thai gyms all over the world. To be a successful Muay Thai fighter you need to be fit, fast, powerful and flexible. The essence of Muay Thai Boxing is the eight points of contact, the hands, knees, elbows, and shins. This is known as the “art of eight limbs”. Muay Thai fights are fast-moving, full of action and not for the faint-hearted. You can experience the thrill of a Muay Thai Boxing match all over Thailand, especially in Bangkok. 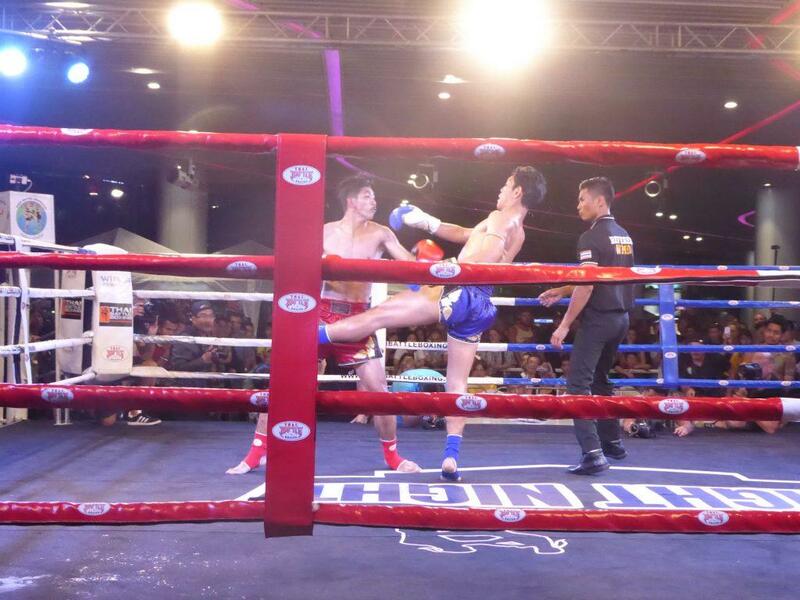 You can watch the sport in Muay Thai arenas or for free at special weekly or monthly events. There are many Muay Thai Gyms in Bangkok where you can train. Many have in-house accommodation & offer private or group training. We’ve listed a choice of well-known established gyms below. Petchyindee Academy – Established since 1976, good facilities, accommodation, private or group lessons. Near Wat Arun. Sasiprapa Gym – Established since 1965, focuses on physical strength & techniques. Nearby apartments for rent. In the Lat Phrao area of Bangkok. Kaewsamrit Gym – Established since 1987. Long term training course. English-speaking Thai trainer. Accommodation on site. In Talingchan area of Bangkok. Keatkhamtorn Gym – Established for 20 years. Focus on knock out with special tactics. Accommodation & meals are available. In the Ramintra area of Bangkok. Yokkaosaechai Gym – Established by famous boxer Saenchai. Focuses on teaching foreigners “Thainess” as well as boxing skills. Also exercising & losing weight courses. On Sukhumvit Soi 16. Popular with foreigners. Lumpinee Academy – Provides courses from beginners upwards. On the rooftop of Lumpinee Boxing Stadium. In the Ramintra area of Bangkok. Jaroenthong Muay Thai Gym – The venue for the weekly Super Champ Fight Nights. Owned by a former champion boxer. International training program offering courses from beginner to professional. On Phra Athit Road near Khaosan. Also, a branch in the Ramkhamhaeng area of Bangkok. Toongtong Muay Thai Gym – New ultra modern gym including a classroom for studying Muay Thai theory. Training for trainers as well as aspiring fighters. Well known trainers including male & female champions. Accommodation is available with meals & swimming pool. On the 8th floor of Suan Lum Night Bazaar. T.C. Muay Thai Gym – Teaches Muay Thai from theory through to practice. Chinese & English-speaking trainers. Accommodation is available. In the Nawamin area of Bangkok. MTM Academy – A Muay Thai gym for physical fitness. Trainers are former boxers. Separate gym for aspiring boxers. In the Khlong Toei area of Bangkok. Krudam Gym – Courses from beginner to advance taught by champion ex-fighter. Certified course by the Ministry of Education. English-speaking trainer. Dormitory accommodation included. On Sukhumvit Soi 36. LKT Muay Thai Gym – Established for 60 years. Training by a former champion. Focus on basic skills for beginner to advanced skills for experienced fighters. On Ramkhamhaeng Road near the airport rail link station. Attachai Muay Thai Gym – Established by former WBC world champion Attachai “left hand of Angel”, the gym specializes in teaching unique technical Muay Thai skills. Attachai studied training methods abroad and speaks English. In the On-Nut area of Bangkok.